4 Inches 2-way travel mirror with stand. Perfect for putting in suitcase or handbag whilst travelling. 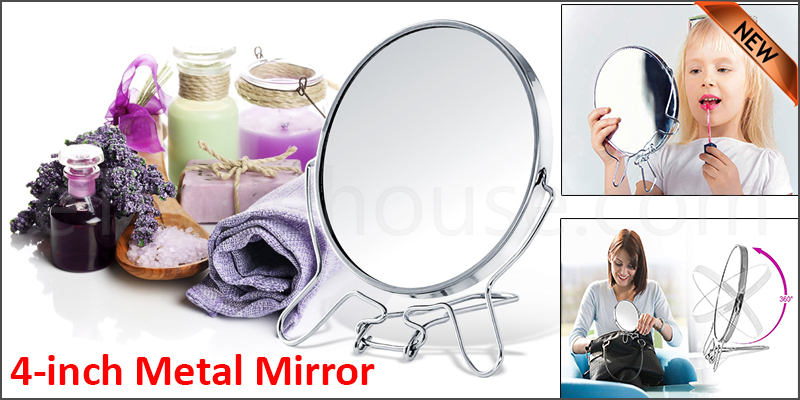 This mirror with metal stand features a transparent design around the mirror which gives it a special look. Great item to put in the bedroom, bathroom,vanity, shaving etc.